Fort McMurray residents still struggling to rebuild after the 2016 wildfire will get $2 million in financial assistance from the local municipality. 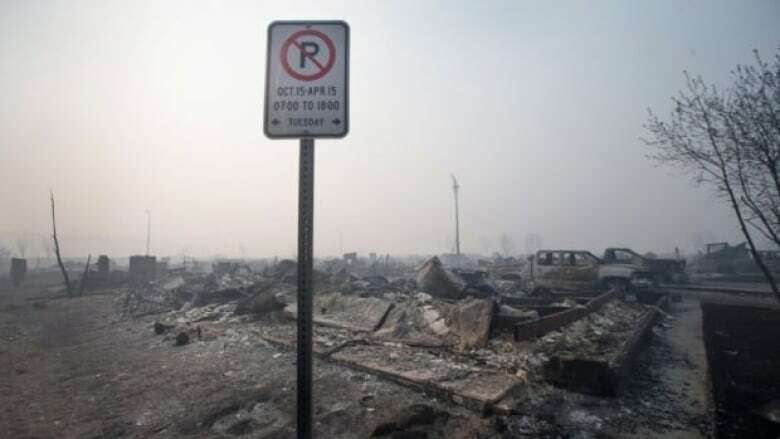 Fort McMurray residents still struggling to rebuild and return home after the 2016 wildfire will get $2 million in financial assistance from the local municipality. The Regional Municipality of Wood Buffalo council approved the relief funding during a regular public meeting Tuesday. The new funding will match $2 million earmarked by the Canadian Red Cross, and $2 million provided by the Alberta government, for a combined commitment of $6 million. The funds will help cover the costs of interim housing and special assessment fees for homeowners who still have not returned home. More than two years since the wildfire devastated the city, many residents — including owners of Hillview Park, a condo project entangled in lawsuits — are still struggling to rebuild, Wood Buffalo Mayor Don Scott said. "The fire is not over, it is still affecting lives in this region," Scott told CBC Tuesday. The municipality has been holding public information sessions on an as-needed basis since the fire to hear people's concerns and answer their questions. In a recent session Scott said he heard from many people who are struggling, saying it's not limited to the Hillview situation. "It was heartbreaking just hearing the stories about how people were having difficulties," Scott said. "I'm hopeful and optimistic that these funds will be used to alleviate some of the heartache that's been going on in this region." While the Red Cross has not used up all of the funds previously earmarked for recovery, Scott said the additional money is to ensure "there is enough to meet these new circumstances." The $6 million in relief funding will be distributed through the Canadian Red Cross. The money cannot be used for legal fees, Scott said. How it will be disbursed is up to the discretion of the Red Cross, he added. Each case will be assessed according to unmet needs, not loss, stated a news release issued Tuesday evening. Secondary homes or rental properties are not eligible for financial assistance. Fort McMurray residents who believe they are eligible are encouraged to contact the Red Cross. "This additional support from the government of Alberta and the Regional Municipality of Wood Buffalo for our ongoing work in the region will provide much needed financial relief to those who are still not back in their homes after the 2016 wildfires," said Jenn McManus, vice president, Canadian Red Cross, Alberta and Northwest Territories. "The pace of recovery from a disaster is as unique as the people affected by it. And, at times, it can be complicated."